Pretty rough title isn't it? Sure, I'll admit it is...unless you can prove it. Let's keep looking at the "improved product search feature of the Fine Wine & Good Spirits online store," as Chairman Holden called it 2 years ago!. To me, it is still so bad I can't think of anything they actually improved. Just reference the last blog post, where I talked about the PLCB not being able to get the product totals matching across the inventories available to the public; they couldn't even get them to agree on the same page. The reason for that may be the thousands of dead listings for products no longer carried that the PLCB doesn't clean out of the system. I'm guessing it's because that would be THOUSANDS of products that they could no longer claim when they make their boasts to the public about how many thousands of products they carry. Do you really think that the 2011 Jack Daniel's Holiday Select is coming back? It's been five fricking years since it was in stock, but it's still listed in the system. Maybe they're still waiting to get that picture before they delete it. And the 2013 cherry too! You do see the "Out of Stock" on each one, right? How incompetent to you have to be to keep something on inventory for five years when it is NEVER EVER going to return? Maybe it's because they're using a search system that was probably designed during the punch card era. You want to see how bad the search engine is? Let's look for some Old Forester. It's going to be hard for the PLCB to admit it, but there aren't 1074 matches to Old Forester, and I guarantee none are Ardbeg, Aberfeldy, or Glenfarclas single malt Scotch whisky. Pretty worthless, isn't it? To add even more intelligence-insulting idiocy, if you look at the "Brand" listing on the left you won't even find Old Forester listed. Should I be more specific in my search? Go ahead and put in Old Forester Bourbon and see what that gets you. Narrowing it down takes the number of hits from 1074 to 1355, now that's an improvement. No, that isn't a typo: being more specific increases the number of wrong choices to pick from. How do real businesses handle this? You know, the ones that depend on customer satisfaction (because they don't have a police-enforced monopoly)? Let's have a look. Of course none of these are as big as the PLCB or have as many employees, or a $66 million computer system. This isn't rocket science...unless you work in Harrisburg. Free states have liquor stores with a real inventory of real products you can actually search for and find, and go to the shelf and touch. Not every store, of course, but Wawa ain't Wegmans, either. The PLCB claims to be "world class," so their online inventory system should be world class. It isn't. The PLCB doesn't really give a damn about you, the consumer. It is easier to put plants in the stores and aprons on the clerks than it is to fix the systemic and inherent flaws in the leadership, management, and operational systems. Real business knows that tracking inventory is important, but the PLCB doesn't. The faster, better, easier Product Search Page online inventory was recently down for almost four days. What kind of business has their inventory unavailable for four days? A poorly run and managed one. They could use the excuse that their "other" inventory page (the "Fine Wine and Good Spirits!" page) was available. But look here: if they can't even get the category numbers to jibe on the same page, why should you trust that inventory? I was looking at Cognac on the Product Search Page when it went down, so I had to use the "Fine Wine and Good Spirits!" website instead, which led me to this page. You'll note that the full number of items at the top is shown as 214; but the total of the available items shown at the left...is 189. Huh? In the real world of my business, the total items available should match the total in inventory. Listing products you don't have or can't get serves no real purpose except to inflate your numbers when you lie to the citizens (or the Legislature...again) about how many products are available. Something that both the UFCW and the PLCB are prone to do, and we've told you that for years. This total, 174, doesn't match 189 or 214, so which is it, PLCB? What random number is closest to what you actually have? I'd bet that none of them are correct, given the history of incompetence at the agency. 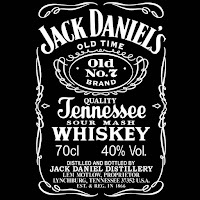 For over five years they haven't been able to get Jack Daniel's (spelled "Jack Daniel's", see the label to the left!) listed correctly. 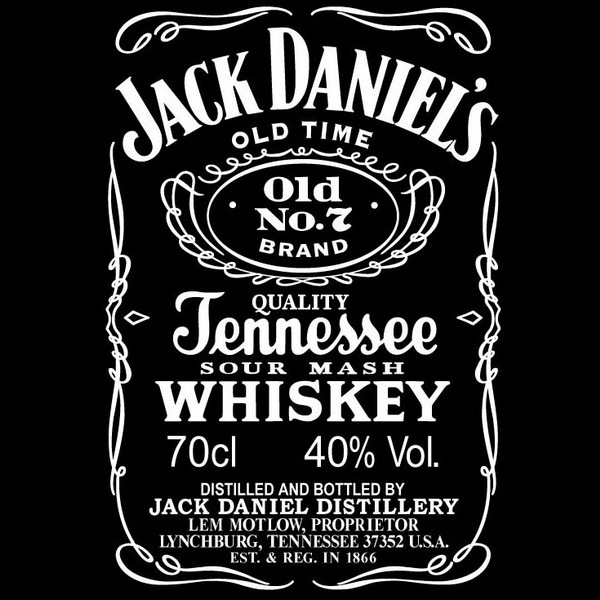 They have Jack listed in both Whiskey, Bourbon (Straight) and Whiskey (Blended) and use a few different spellings. If they can screw up their #1 seller that much imagine how badly they screw up the rest.You can find your own examples if you think I'm cherry picking. I mean, I am, but believe me, I could pick the whole damn tree for you. While inventory numbers are important, so is knowing what you are selling. If you look at the above picture again, you'll see it says COGNAC (IMPORTED). Guess what, PLCB: it's all (IMPORTED), because Cognac can only be made in Cognac, France! There is no such thing as COGNAC (DOMESTIC). Ya dopes. It's just another example of the poor quality customer service that inevitably comes from a monopoly, because they know they don't have to do anything better, since the consumer can't go anywhere else. 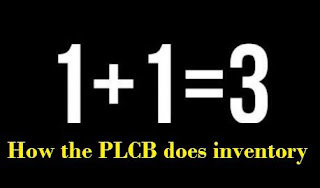 A real business depends on current, correct and factual information being provided to the customer, because they know they wouldn't be in business if they ran things like the PLCB does. End the fiasco of fake business and PLCB incompetence - PRIVATIZE.